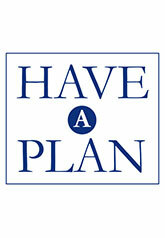 Estate Planning is one of those topics that most people do not like to think about. It makes them think about their mortality and what the future holds. So individuals who either live in or own significant property in California are often surprised to discover that once they pass away their estates are usually subject to the probate process. A probate is a court proceeding where the probate court essentially steps into the shoes of the deceased person, gathers up the assets in that person’s estate, and then distributes those assets to the persons who are supposed to receive them. Different rules apply to a person’s probate, depending on the level of planning a person engaged in prior to death. If a person passes away without doing any estate planning, then that person’s estate will be subject to what are called the intestacy laws—a set of distribution rules designed to cover what the legislature believes most people would want to have happen to their estates. These default rules generally provide that any community property of a decedent will go to that decedent’s surviving spouse. If the person has no surviving spouse, then the person’s estate generally gets distributed to the person’s children (or grandchildren, if the children pass away before the parent). The intestacy laws do a relatively good job of handling what people consider the traditional family—where there’s a mother and father who have children together. However, in this age of blended families and stepparent/stepchild relationships, these rules often create friction and discord. When a person passes away with significant separate property, this property is generally divided up between the surviving spouse and the surviving children. This can lead to acrimony if the parent and children are not related to each other, except through the now-deceased spouse/parent. A great deal of estate litigation arises from these kinds of situations. Many people, when they think of estate planning, immediately think of wills. A will is basically a letter of instructions about what a person wishes to have done with his estate following his or her death. Wills can be relatively simple, or they can be very complex, stretching over many pages of detailed instruction. Drafting a will allows a person to opt out of the default rules of the intestacy regime. A person can opt not to leave assets to a surviving spouse or child. A person can choose to leave gifts to persons and entities not covered in the intestacy rules, such as a close friend or a church or charity. In addition, a person can put conditions on gifts in a will. Sometimes a person will have children who have substance abuse problems or mental or physical impairments. In cases like these, leaving a substantial inheritance that child might either enable the child’s substance abuse or cause the child to lose state or federal benefits. A carefully drafted will can help a parent to make sure that he or she doesn’t inadvertently create or exacerbate problems for his children by making unwarranted or ill-timed gifts. In either of the situations above, where a person dies intestate or with only a will in place, the person’s estate needs to be probated if the gross value of the estate exceeds $100,000. Probate serves a useful function in society, by providing an orderly system for notifying heirs of distributions and making sure that estate assets go to the people who are supposed to receive them. However, probates in California are generally considered among the most onerous in the United States, for three main reasons. Probates in California, like almost all court proceedings, are public. Any interested person can stop by the probate court and ask to see a copy of a person’s probate file. The file will usually include the person’s will, a list of heirs, a list of assets and their approximate values, and a host of other information. Many people consider this a violation of their privacy. Probates in California take a long time—usually somewhere between eight months and two years. Certain assets of the estate are frozen during this time. It is not unusual in a probate for a surviving spouse to have to petition the court for an allowance from the estate to provide for day-to-day living expenses. Probates in California are very expensive. Probate fees, which are the fees paid to the executor and the attorney for the estate, are based on a percentage of the gross value of the estate. These fees routinely run into the tens of thousands of dollars, even for relatively modest estates. For these reasons, many people in California choose to avoid the probate process by setting up a revocable trust. A trust accomplishes the same goal as a probate: distributing assets to the people who should receive them. However, a trust is generally considered superior to a probate for several reasons. A properly-drafted trust allows a person all the flexibility of a will, but with the added advantage of private, non-probate administration. A trust administration is private—the only people entitled to notice or accounting of trust assets are the beneficiaries of the trust. Distribution of trust assets can often be accomplished within a few weeks of the death of the person who set up the trust. In addition, a trust administration is usually fairly inexpensive compared to a probate. Where a probate might cost the estate almost ten percent of the estate’s total value, a trust administration can often be completed for a small fraction of that amount. Drafting a trust or a will may appear to be relatively simple, and many people use inexpensive forms or computer programs to set them up themselves. However, there are numerous pitfalls that can cause problems for the unwary. Oftentimes people will be unaware of important provisions in the law that may lead to unintended consequences. Sometimes individuals inadvertently disinherit someone they intended as a beneficiary, and sometimes, as mentioned above, individuals cause significant problems for beneficiaries who are receiving state or federal disability or other benefits. An improperly drafted trust can also cause significant tax headaches for a surviving spouse or child. For these and many other reasons, it is always good practice to consult with an attorney who specializes in trust and estate law. 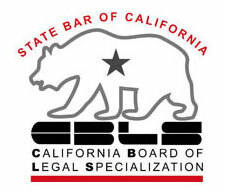 The State of California certifies attorneys in several areas. Every county in the state has at least a few attorneys who have taken the extra training, education, and experience to become certified as specialists in estate law. These attorneys know estate law inside and out and are able to counsel with clients effectively on the potential problems that might await in an estate planning situation. To learn more about our estate planning attorney services including trusts, wills, and probate, contact us today at (916) 789-9810.